Emerging from a sustained period of blurblobitude, O Emperor return in 2018 with new music. ‘Make it Rain’ is the first song to be released from a batch of new material which marks a significant break from the song-centred approach of the band’s previous work. 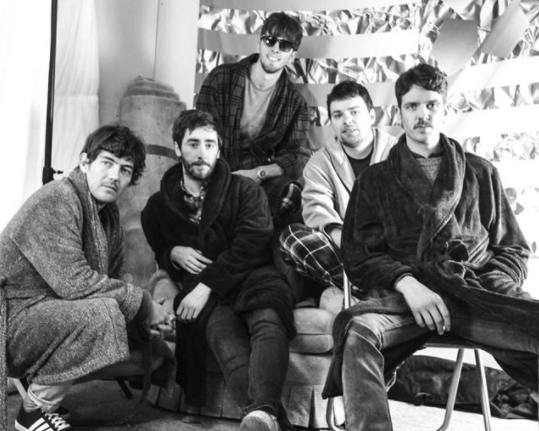 The track is a delicious slice of fuzzy Afro-Disco, emerging from spontaneous instrumental experiments captured and pieced together at the band’s Cork studio. The release of ‘Make it Rain’ on 29 January preempts the band’s appearance at Quarter Block Party on 2 February, and a Dublin date at the Bello Bar on 17 February, the band’s first live performances in over two years.